Kogi longs to capture the spirit of nature in his art. He draws majestic mountains, trees, waterfalls, and Lake Biwa's glimmering fish, but his paintings are always lifeless and dull-until one supernatural morning when he wades into the cool, deep, shimmering water and becomes a golden fish. There he learns firsthand the freedom within the silence that pulsates in all of life. When hunger drives him to risk the fisherman's baited hook, another miraculous transformation forces Kogi back to his life as a painter, but a painter now forever changed. 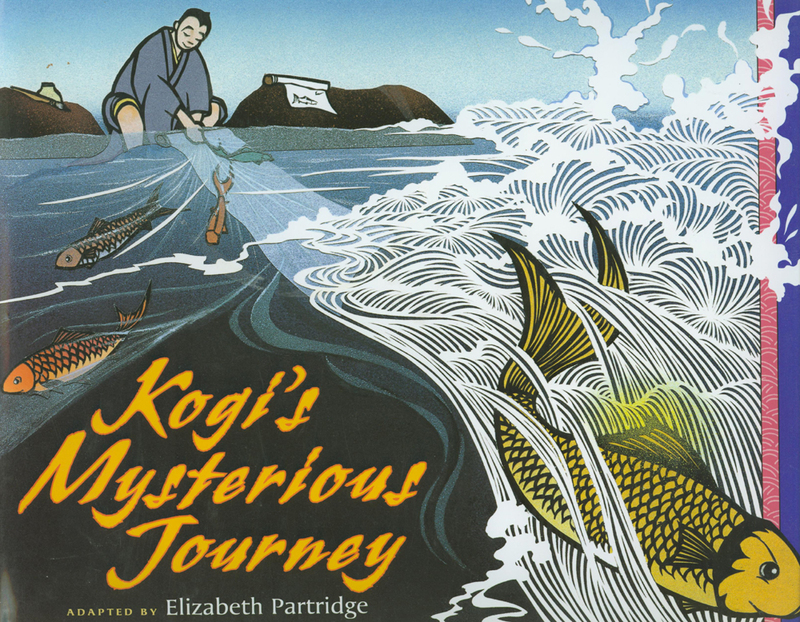 Elizabeth Partridge's elegant prose and Aki Sogabe's cut-paper illustrations bring clean lines and lush color to this mysterious tale of discovery.